Sony wants the world to know that there are more ways to have fun with a PlayStation 4 than just shooting things in the face. Let's begin by acknowledging that shooters are awesome, a point that I don't think too many gamers will be inclined to argue. 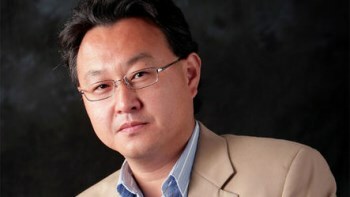 But there's more to life than just murdering tons of dudes and Shuhei Yoshida, president of Sony's Worldwide Studios, said he doesn't want the upcoming PlayStation 4 console to be known for nothing but first-person virtual gunfire. Commitment to that principle, in fact, is why the cartoon-like platformer Knack was chosen as the first title to be shown at the February PS4 reveal. "It was pretty intentional," Yoshida told Edge. "We were like, yeah, we hate to see all the PS4 games being FPS or action-adventure or very photorealistic, you know, big-budget blockbuster games. And you know people like these games but these are not the only kinds of games that people can have fun with." Sony rolled out some very impressive footage of Killzone: Shadow Fall, Watch Dogs and several other big-budget titles at the reveal as well, but Yoshida emphasized that while the "core technology and performance of the hardware" is vital, the hardware itself isn't the primary focus. "When you look at the five key principles behind designing PS4, none of them are hardware related, actually," he said. "It's all about how people us and experience, enjoy games, realized by the system software features and network functions." The PlayStation 4 does not yet have a hard release date but is expected to be out for the 2013 holiday season.